All transfer & Sightseeing on sharing basis by N a/c Vehicle. Upon arrival, you will be welcomed by our representative and will be transferred to the hotel. Check in to the hotel and after fresh leave for Local Sight seeing of Local and evening return back to Hotel and have a comfortable overnight stay. Get transferred from Srinagar to Baltal by car in the morning. 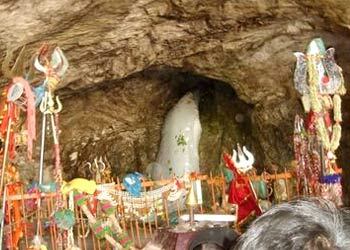 Upon arrival in Baltal, leave for the Amarnath cave by helicopter. The helicopters begin operating at 6 am (weather permitting). Take a dip in the ice-cold water of Amarnath Stream, which flows outside the cave. There are three massive Lingas inside the cave. You will have approximately 1 hour for darshan. Priority pass for darshan is also provided. Return to Baltal by helicopter and later, get transferred to Srinagar by car. 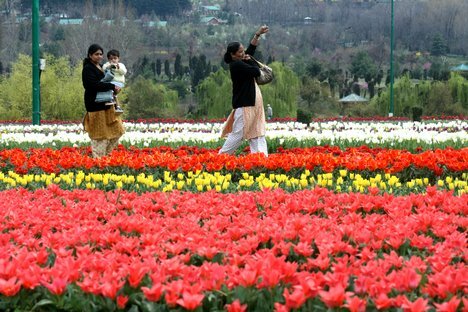 On arrival in Srinagar, check in to the hotel, enjoy dinner and have a comfortable overnight stay. After breakfast, drive to Gulmarg. Spend the day sightseeing the picturesque locales. One can take the exhilarating cable car ride to Khilanmarg or Apharwat Snow Point (Cable car ride and Pony ride are not included in the package). Evening return back to Srinagar hotel for dinner and overnight stay. After breakfast, check out of the hotel drive to srinagar airport.